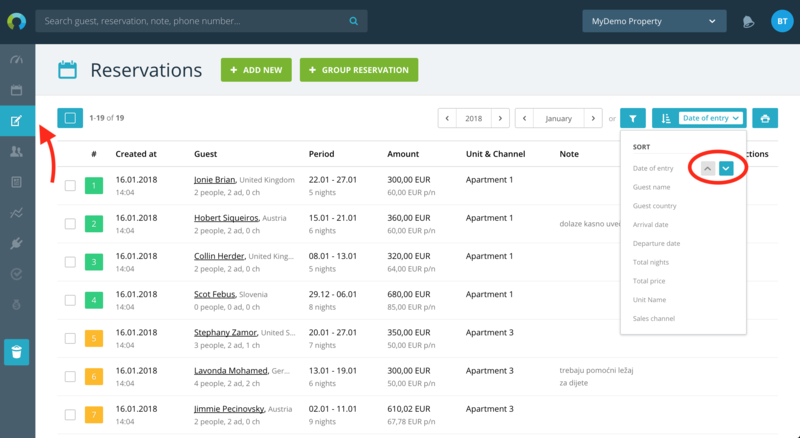 All reservations you enter to Rentlio can be viewed in a list-view, as well as on the Calendar. Each reservation is a single row which contains relevant information: guest details, arrival/departure date, booked date, total amount etc. Reservations overview is available from the left menu in Rentlio. 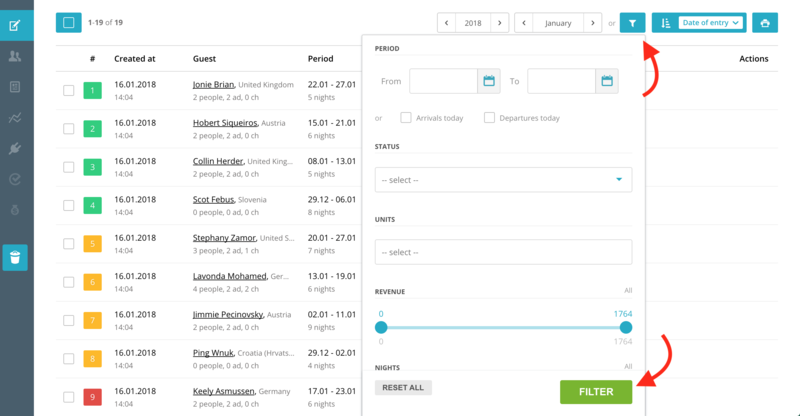 The default list can be filtered and sorted based on several criteria - booked date, guest names or country where they are from, length of stay, total amount etc. "Arrow-up" icon will sort the reservations in ascending order, while "arrow-down" will sort them in descending order. Also, you can filter reservations by clicking the "Filter" icon. A drop-down menu will appear with several options, and all you have to do is to select what you need and select Filter. 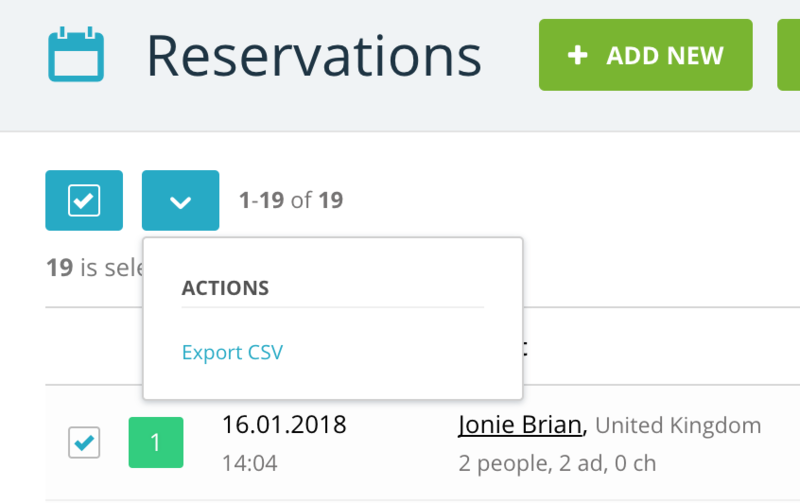 Reservations can be exported to a CSV file in a couple of clicks. After sorting and/or filtering reservations, select them in the left column. You can selectively choose only some of them, or select all by clicking on "select all". A blue icon will appear where you can choose Export CSV. You can modify reservations and guest details on this screen as well. By clicking on the numbered box you can edit the reservation itself, and by clicking on guest name you can edit guest details.